Ingrown Nails are a very common condition we treat. It amazes me how long people wait to seek treatment for this condition. I have seen some ingrown nails that are horribly infected that people have let go for months. An ingrown nail can be caused by simply the shape of the nail, trimming into the corner of the nail and not removing the entire piece, and wearing tight shoes. Some people are just more prone to ingrown nails because they have naturally incurvated nails. Treatment consists of temporary removal of the border when it is significantly infected vs. a permanent removal of the corner of the nail with a chemical that keeps it from growing back. 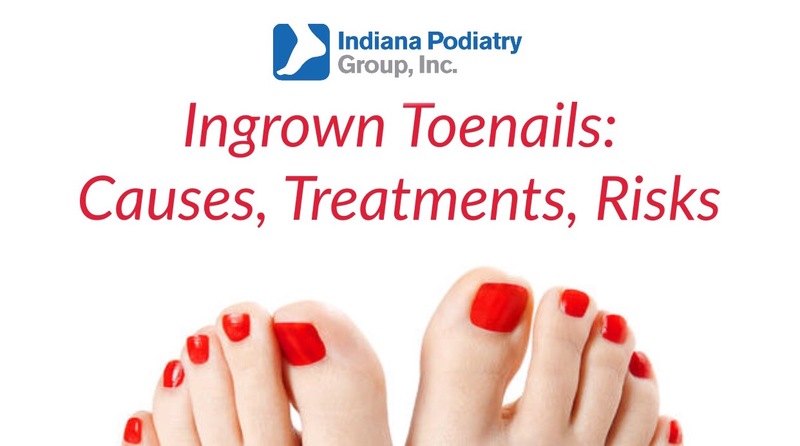 If you have an ingrown nail, don't wait! I have seen a few people that let an ingrown nail go so long the bone underneath got infected and the patient lost their toe! !